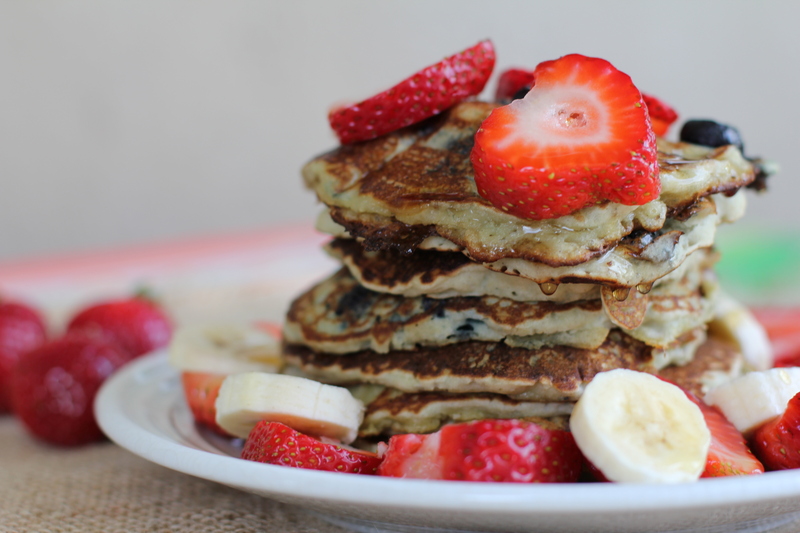 I had a craving for pancakes, but wanted to make something healthy, quick, and easy. I decided to try the Krusteaz brand gluten-free pancake mix. 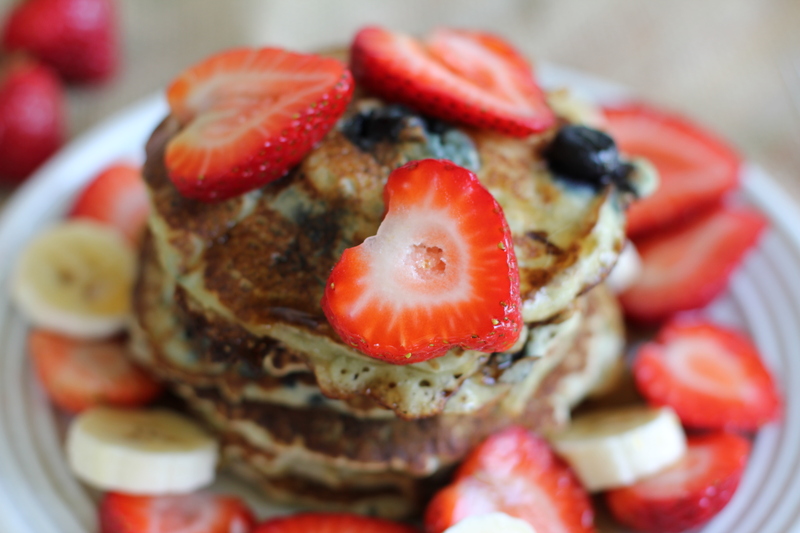 Gluten free pancake mix uses rice flour instead of regular flour. Here’s the recipe I created. I added frozen blueberries and substituted milk for coconut milk. 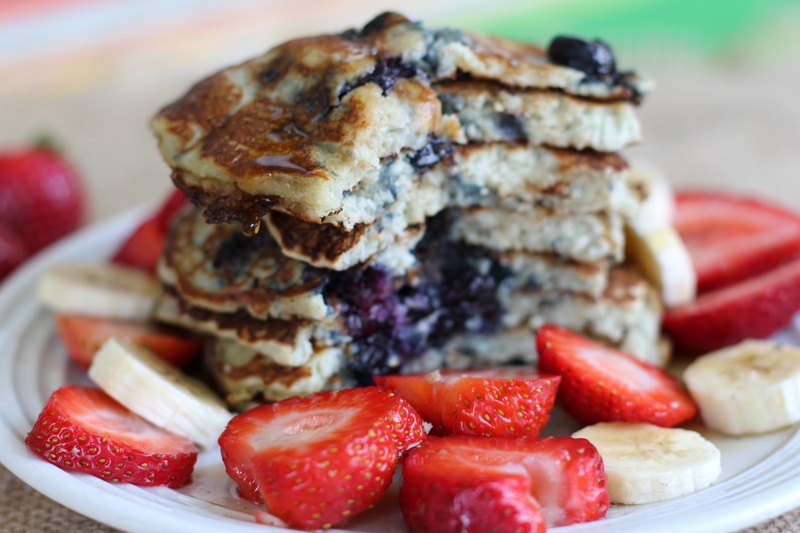 Whisk first 4 ingredients together, then add blueberries and distribute evenly in the batter. Lightly oil griddle or pan and cook on each side until it turns golden brown. Top with fresh fruit and honey to taste. Love this! The pants are super cool! Thanks love! 🙂 Your blog is awesome! your ears look like mine! but your nose doesn’t. rawr!